We provide embedded memory solutions to all of Infineon’s divisions - from Automotive to Chipcard & Security. We require very high quality standards in hardware design as well as software development to fulfill the demanding ISO9001/ISO26262 standards for zero defect and autonomous driving requirements. Come and help build-up our software team in Munich. You will work in close collaboration with our automation team (product owner) and use Agile Software development to meet our demanding requirements. 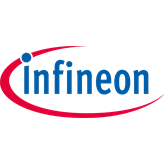 As part of the Infineon Agile Software community, you will deploy the software strategy and set the technical direction to reach the next level of quality and efficiency. We are looking for your agile mindset & driver mentality. Your strength is starting with an idea, pushing the topic and then bringing it to implementation. Furthermore you like to guide colleagues to achieve joint success.